Jaira Burns has just released her debut EP, Burn Slow. 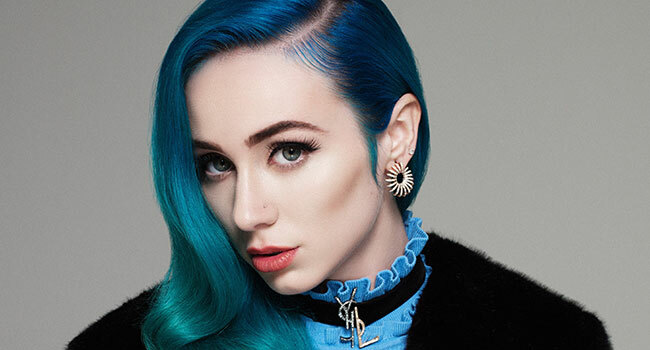 The EP highlights the soulful quality of Jaira’s distinct voice, and features production by Stargate, Andrew Goldstein and executive produced by Ryghteous Ryan (Ariana Grande/Wiz Khalifa). The release continues an exciting run for the 21-year-old Pennsylvania native who was recently included in Paper Magazine’s list of “100 Women Revolutionizing Pop.” We recently conducted an email interview with Jaira while she was in the midst of several summer music festivals and a promotional tour in New York City, and as she prepares for a tour beginning in the fall. How excited are you to have your debut EP out and how long did it take to complete? Very excited to have my first body of work out! And it’s only just the beginning, it took us about a year to get the EP together, but we created a lot of other music as well during that time that will be on my album. The media has taken notice of you and you’ve had a busy summer touring. Does this leave you with little free time to write and create new music? It’s definitely been a productive summer and one to remember! I don’t think that creating new music ever stops no matter what is going on, but it definitely slows down a little bit. Do you expect a full-length album to be released this year? My goal was this year, but I think realistically I’ll be coming out with the album at the beginning of next year! I can’t wait for you all to hear it!!! Who do you listen to today that you’re a fan of? I listen to a lot of different artists, right now I’m on Post Malone, Khalid, 6ix9ine, Cardi b, and so many more. Have the fans been receptive of the album so far? What’s the best compliment you’d want to hear? Yes, there has definitely been a lot of love being shown to the EP which is really lit to see! I mean honestly, any compliment is amazing to me. Once your touring commitments are through what do you do next, musically? After my touring, I’m going to drop my album and probably tour again!! I hope to meet a lot more of my fans on the road through it all! What do you want people to come away with feeling after listening to Burn Slow? Any type of release, whether it makes you cry, laugh, smile, I just want my fans to be open to their feelings and not be afraid to let it out.